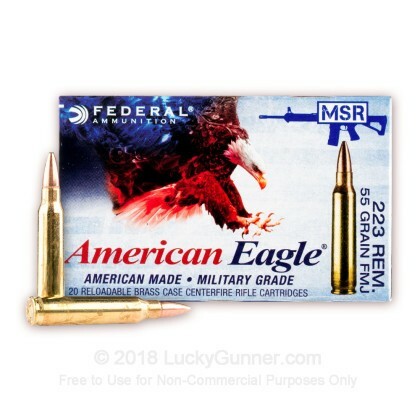 If you're looking for quality ammunition for your .223 rifle, then look no further than Federal American Eagle ammo to meet your shooting needs. Great quality, great performance, and great precision rounds! Arrived faster than expected! Totally recommend this product ! Lucky Gunner is the best! I really like ordering from Lucky Gunner. It's so easy, my orders arrive quickly, and this last time I was pleasantly surprised to receive a complimentary Ammo Box with 500 rounds of 223 Rem! I always try and keep at a minimum 1,000 rounds of both Practice rounds and Self Defense rounds for every Handgun and Rifle that I own because if you don't practice then you basically have a very expensive paperweight shaped like a gun on your Hands. With prices like these Lucky Gunner makes that possible. Keep all of your weapons clean, May you never have to fire your guns in defense of your life or the lives of those you love and most importantly of all. Sevrice & the quality of the american Eagle ammo was excellent. I wpuld highly recommend this product. Very accurate. shipping was also very fast. I purchased 500 rounds of American Eagle, .223, 55 grain, FMJ at a great price. My order arrived in five days. I took them to range and shot them. No jams, no misfires---nothing downrange but solid target hits. Great ammo at a good price. Have shot this brand for years and is hard to beat for FMJ. Shipping is always fast and reasonable cost. Arrived three days of order. Always fires without fte or ftf. Best prices on net. Really good ammo,no issues at all. Fired 300 rounds in a month not one missfire from 20. to 100 yrds. Fast or slow target shooting. 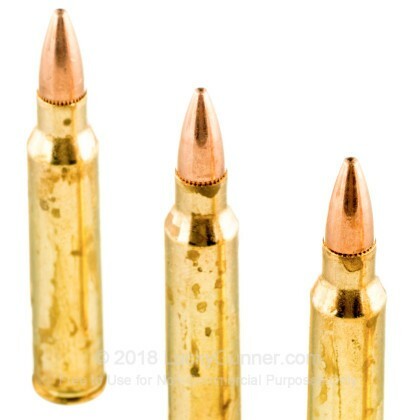 Great Ammo, will buy more before the elections. Lucky Gunner is the place to buy. Fast great service and delivery. Recommend Lucky Gunner to everyone, you will be more than satisfied. My order was very fast, my choices here in stock, their delivery was here at my house in just days. 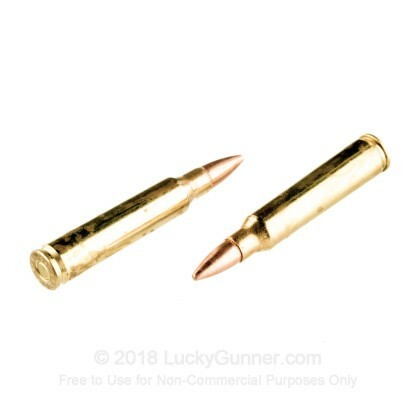 Everyone should use luckygunner.com. Great service, fast shipping and great ammo. Thanks! 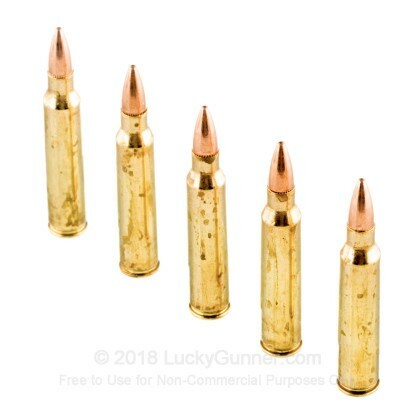 Have used Federal ammo for many years and have never had any problems. Can't beat American made....Price & shipping were GREAT! Will order more!! I have gone through about 1000 rounds and never had a single FTF or FTE. Good and accurate (at least as accurate as I can make it). 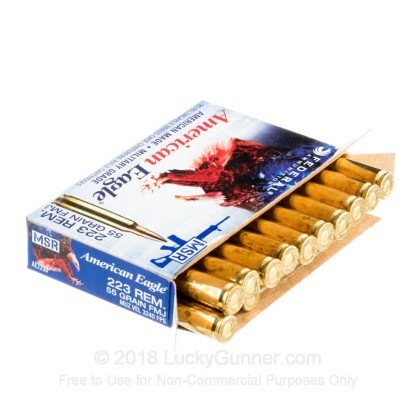 Purchased 500 rds,.works great,clean burning.would recommend to anyone.I was very diappointed with shipping,usually here in 2 days or less,this batch was on a slow train! Not a single missfire, great for target shooting and plinking. You can't beat the price here. I am buying more. Q: My AR-15 barrel is a 5.56 Nato 1/9. Can I try this caliber .223 REM on my A-15 as well? Thanks. A: If your AR-15 barrel is rated for 5.56 NATO you can use .223 REM with it. Also, the 1 to 9 twist rate should not be too fast of a twist to properly stabilize the 55 grain .223. Keep in mind, if your AR-15 barrel is rated for .223 RM it is not advisable to feed it 5.56 NATO. This is because 5.56 NATO is rated for higher pressures than .223 REM. Q: if i order today will i get the 223 brass ammo as the website predicts even though its says out of stock? A: As soon as we receive more of this American Eagle .223 ammo and is listed in stock, we will be able to resume taking orders for this product. Please be sure to check out our main .223 page in case another item comes into stock sooner! In order to provide fast delivery on all orders, we are unable to accept orders on backordered items. 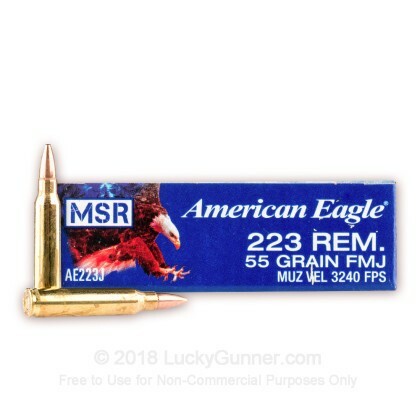 We also have this 223 Rem - 55 gr FMJ - Federal American Eagle - 20 Rounds ammo in stock in a smaller quantity.